One of the graces of our Marian spirituality is “mission consciousness” or “apostolic zeal”: realizing that God’s personal love for us sends us out in the service of love for others. 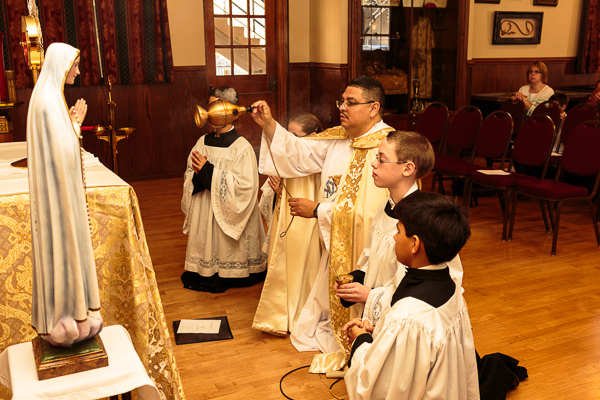 We are blessed to have many parish leaders in our midst, including a deacon, fathers entering the diaconate, DRE, youth director, RCIA and sacrament prep instructors, and RE catechists. In addition, our Catechesis of the Good Shepherd (CGS) catechists work with CGS programs throughout the diocese. Our students are also active in parish life, serving as altar servers, confirmation class volunteers, and vacation bible school leaders. In the diocese, Regina Mater students have sung for the Project Miriam day of discernment with Bishop Vasquez and spoken on Relevant Radio on several occasions. We take part in the Corpus Christi marches and Rosary Rallies at the Capital. The corporal and spiritual works of mercy are an important part of our educational life. We pray for the military, the sick, the poor, and the unborn on a daily basis, and follow up our prayers with action in the world. Some of the charities we contribute to through various projects and volunteer hours include Mobile Loaves and Fishes, Dell Children’s Hospital, 40 Days for Life, St. Vincent de Paul Society, and Bridging Hope. We also care for hurting members of our community on a direct basis, such as those who lost homes in the Bastrop fires and Halloween floods, or families with hospitalized children. 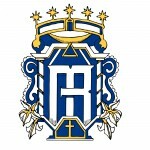 Eighth Graders at Regina Mater are required to complete a community service project for graduation.